The next November 18, at 2PM, the maestro guitarist Rycardo Moreno will offer a flamenco guitar master class, the event will take place in Paper or Plastik café, located in 5772 W Pico Blvd, Los Angeles, CA 91601. 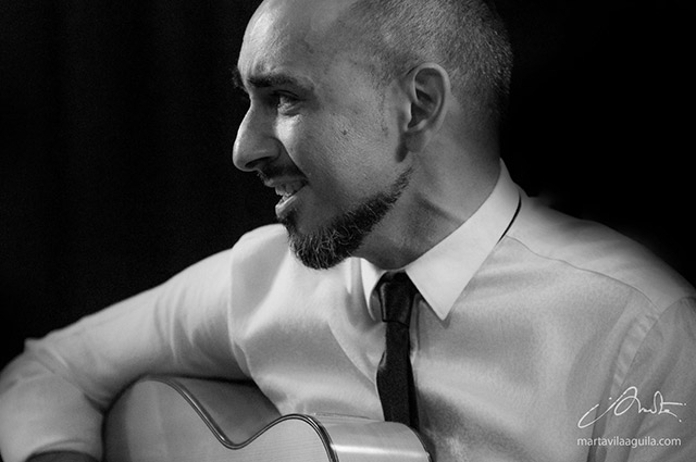 Rycardo Moreno Montiel, a flamenco and jazz guitarist, was born in a gipsy family in 1981. He started in music at the age of 11, accompanying his grandmother, “Pepa la Cartuja”, by singing. He developed his career as a creator, musical producer, composer, arranger and guitarist in the tours of many artists, such as Dorantes, Lebrijano, Tomas de Perrate, Raimundo Amador, Yelsy Heredia, Esperanza Fernández, Javier Ruibal, or Lole Montoya, among many others. It’s in 2014 Maestro Gerardo Núñez, having heard of his project, encourages and invites him to present it in Gerardo Núñez’s 1st International Guitar Festival. It opened him the doors of the record label Nuba Records / Karonte, which would publish his album “VAREKAI” in 2015, which he would use in order to take part in Sevilla’s Flamenco Biennial in 2016. From Solera Flamenca we would like to wish him the best of luck in his musical career, as this superb guitarist is also a humble and warm man who is all heart, all of which is reflected on his music and his playing style. The price of this master class is 40 $. For more information and reserves contact to: +1 917 302 0751.